GreenDataNet intends to design, validate and demonstrate a system-level optimization solution allowing a network of urban data centers to collectively improve their energy and environmental performance, and act as a resource for smart grids. Renewable, low-carbon energy accounts for an ever-greater share of electrical energy production. It is helping push wholesale electricity prices down, and could one day lead to big reductions in greenhouse gas emissions. But the fear is that the growth of solar and wind power is destabilising the grid, and may lead to blackouts or brownouts. What is needed are ways to optimize, at a grid-level, energy use that rewards low-carbon energy without reducing reliability and imposing undue and unnecessary costs. Design and validate a new smart energy management system allowing urban data centers to radically improve their energy and environmental performance. The GreenDataNet project will develop state-of-the-art technologies that will allow urban data centers to reach 80% of renewable power use and decrease their average Power Usage Effectiveness (PUE) from an average of 1.6-2.0 today to less than 1.3. GreenDataNet will enable energy monitoring and optimization of IT, power, cooling and storage at three levels: servers and racks, individual data centers and networks of data centers. To further reduce the need for grid power, GreenDataNet will also work on the integration of local photovoltaic energy in combination with an innovative, large-scale storage solution that will facilitate the integration of data centers into smart grids. Within this project, second-life electric vehicle Li-ion batteries will be investigated as a more advantageous solution for data centers to become actual smart grid nodes. The whole solution will be implemented on an open-source platform to allow third parties to provide additional optimization modules and ensure the long-term sustainability of the project. Three demonstration sites will be utilized to test and validate the GreenDataNet concept: a data center operated by Credit Suisse in Switzerland, a data center at CEA in France that includes a large photovoltaic area and a smart grid test platform and a pilot site in the Netherlands that is being used by a Dutch consortium working on Green IT technologies. Based on the project outcome, GreenDataNet will release guidelines to help make data centers more sustainable in the future. 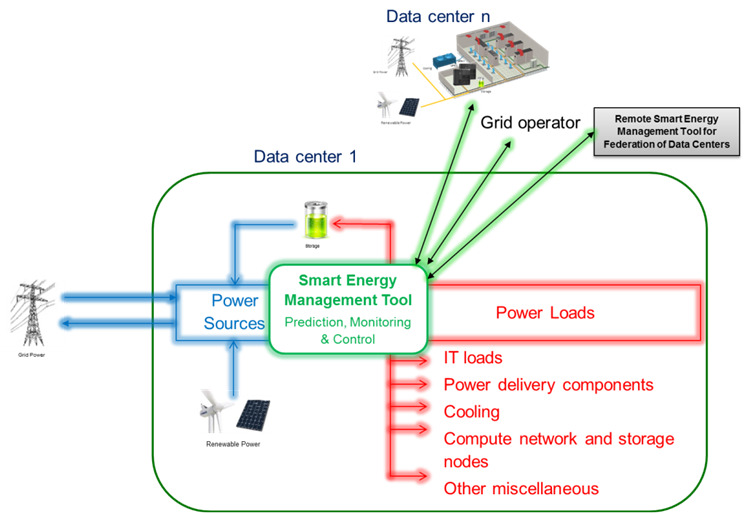 The solution proposed in GreenDataNet enables smart energy management at three levels: rack (or group of racks), individual data centre, and network of distributed data centers. An integrated energy management system that can monitor and automatically optimise power, cooling, IT and storage in individual data centres. An extension of this system towards networks of data centres to achieve higher share of renewable energy and facilitate smart grid integration. 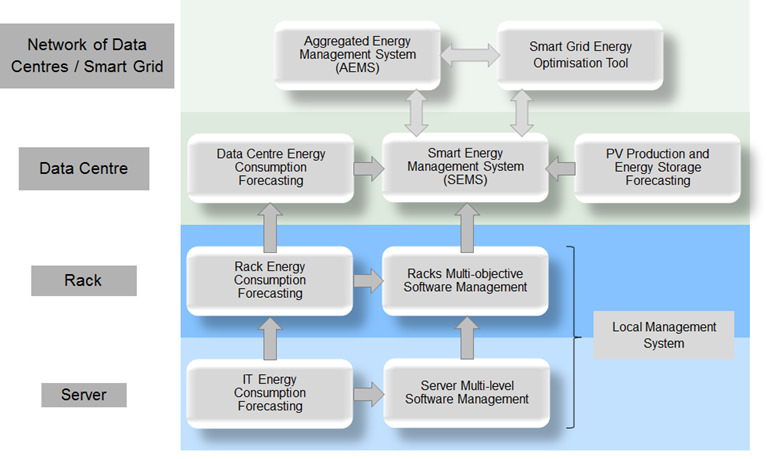 The necessary hardware, software and prediction models to efficiently integrate local PV resources into data centres. The overall cost of the project is ¤4.3m. The European Commission has made a grant of ¤2.9m to fund the project.